Palm Cottage is the ultimate "get away" place to enjoy the best of the Far North. The location has the best to offer in views, comfort, walking distance to the historic Mangonui village (and the world famous fish shop) and only 5 minutes to the idyllic Coopers Beach. 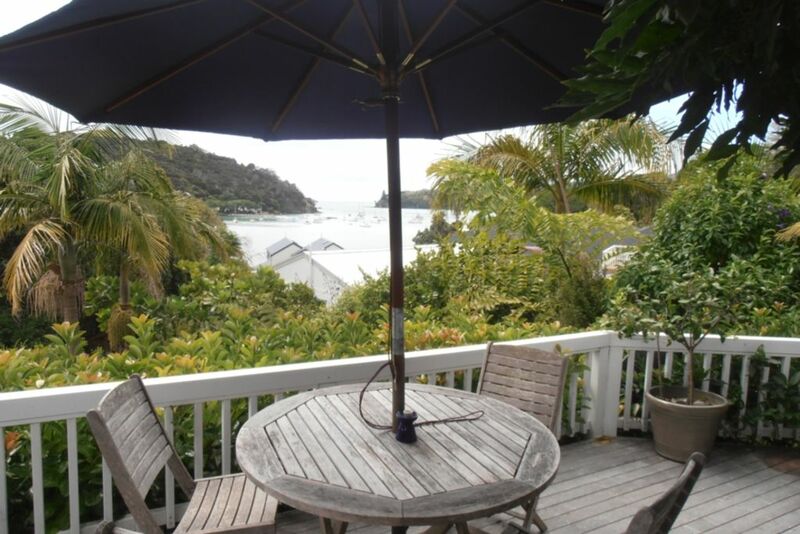 Palm Cottage provides quality accommodation and is a great base for exploring the Far North or a spot to just sit on the deck , relax and take in the views. Perfect - private, relaxed and boutique. Such a lovely cottage. Everything was perfect, just wish we could have stayed longer! What a wonderful stay! beautiful views of the bay. The villa has everything you need for a comfortable stay. Very clean. We really hope to be able to return! The place is spotless, with every need catered for - very well thought-through. We fell in love with the place and the delightful village of Mangonui so that we plan to return another time for a longer stay. Our only suggestion is that screens might be nice, especially on the bedroom windows, to keep out insects on hot summer nights. Nice tidy cottage. Loved the kitchen and the shower, both were modern. Nice views and well located near the shops in mangonui and a short drive to some nice beaches. Only downside was that we'd bought food for the barbecue but it was rusty and seemed a bit dodgy so we didn't use it. Would still recommend the place and stay here again. This was our second stay at Palm Cottage. Fabulous place for a holiday. Everything supplied and only a short stroll into Mangonui. Highly recommended and terrific value. Our second long stay in this beautiful home in the very centre of paradise!